Deb and I are both crazy about mangoes. In fact, mango poses the only threat to our marriage. I mean, generally there’s no overlap between the things we love to eat. I love chocolates, he doesn’t; he loves fish but I don’t; I love shrimps but he doesn’t; he loves red meat, I don’t; same story with rice, milk, eggs, potatoes, beans etc. You get the idea. So I get to eat all the chocolates and he gets to eat all the fish. Sharing happens without any real sharing happening. Love continues, everyone is happy. 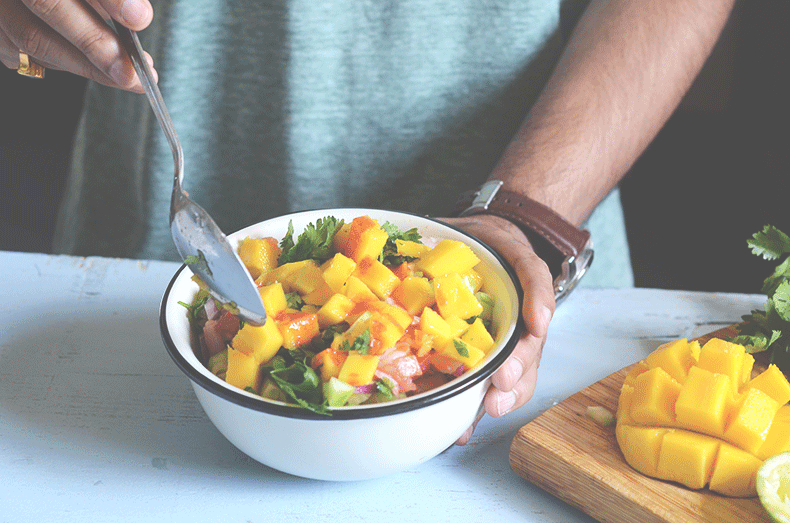 It’s only mangoes that make our eyes squint at the thought of sharing. So far it hasn’t been a problem. We left India shorty after getting married (6 years ago), and since we don’t really get good mangoes here (I mean no disrespect, but Indian mangoes are really other worldly) this problem did not present itself here before. But this year the mangoes have been exceptionally good! We went to HEB (our local grocery) yesterday and found the most gorgeous mangoes. We bought a dozen, came home and had a few, realized that they exceeded our expectations and were too few to be shared between the two of us mango crazies, went back to HEB this morning and brought back 3 more dozens. So, if you go to HEB today and find the mango shelves bare then our sincerest apologies. 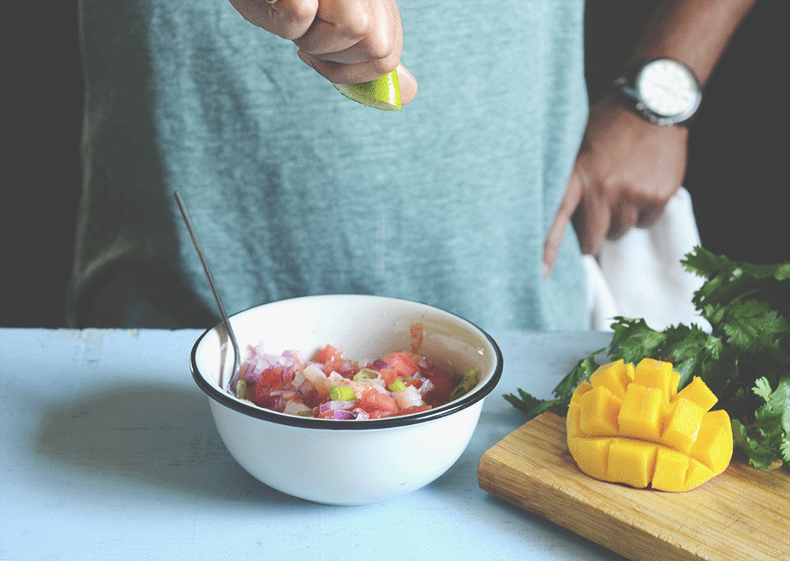 We don’t usually mess with good ripe mangoes. Where I come from mangoes are meant to be eaten straight from the jackets. But I like to brighten us some dishes with mangoes that are less sweet. 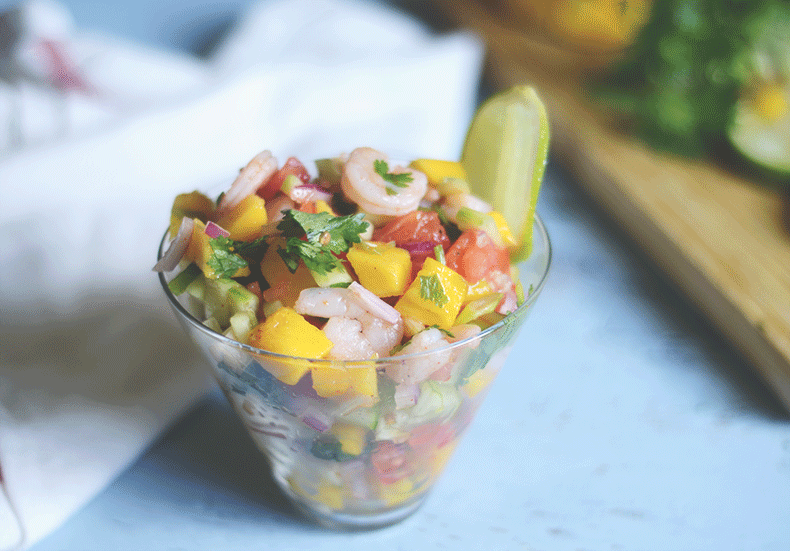 This Shrimp and mango ceviche is one of my favorites! 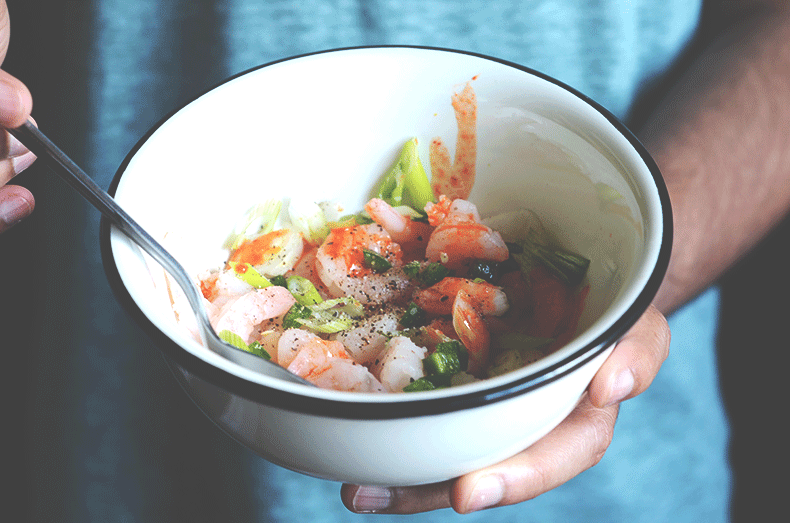 Mix all the ingredients in a bowl and serve with tortilla chips.